Tiger Woods, an American professional golfer, for the fifth time in his career, and the first time in 14 years, has won the Masters. Woods grew up in Cypress, California and started playing golf in 1975. He played his first professional tournament in 1992 when he was only 16. Currently, he has 81 PGA tour wins, the second-highest total of any player. He became the youngest to complete the career Grand Slam of professional major championships in winning the 2000 British Open and also the youngest Master Champion ever at his 21 years old. The Masters is one of the four major championships in professional golf. It takes place in Augusta, Georgia and it is the first major of the year. The winner of this tournament gets a cash prize and a green jacket which has to be returned a year after his victory. At the end of the tournament, the last year’s winner puts the jacket on the current winner. This year the Masters were scheduled from April 11 to April 14. 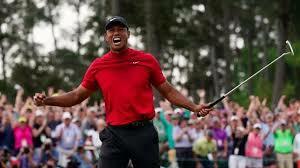 Woods has won $11,500,000 for his victory and made an appearance in Butler Cabin to receive his fifth green jacket. Woods has become the oldest Master winner and proved that he is still capable to win this important professional tournament as he did 14 years ago.